The Highway Patrol Division (HPD) is staffed by uniformed state troopers; they are highly recognizable by an all-tan uniform and Montana Peak (Smokey) hat. 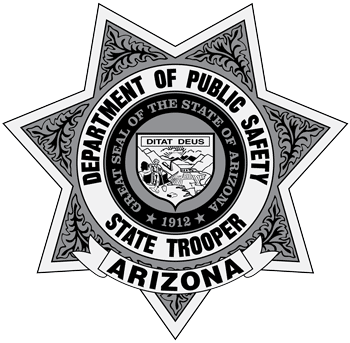 Learn more about the history of the Arizona Highway Patrol and how the Arizona Department of Public Safety (AZDPS) began. HPD is comprised of troopers assigned throughout the state who help fulfill the AZDPS mission of protecting human life and property by enforcing criminal and traffic law. Troopers patrol over 6,800 linear miles – which actually total 27,000 highway lane miles across 16 districts statewide and serve as the front line in deterring criminal activity along Arizona’s highways. The division combines enforcement, training and public outreach to improve highway safety, while striving to reduce collisions and increase the efficiency of the highway transportation system. One of the responsibilities of HPD is to support the state of Arizona and its citizens by patrolling the Capitol districts both in Phoenix and Tucson. HPD also staffs the Arizona Department of Transportation's (ADOT) Traffic Operations Center (TOC) and provides assistance to other local, county, state and federal agencies. HPD analyzes data on a regular basis in order to deploy its troopers strategically throughout the state. It also participates in numerous traffic safety enforcement campaigns and special enforcement operations throughout the year in partnership with local and national law enforcement. View holiday enforcement figures. Learn more about becoming an Arizona State Trooper.